A lot of things have been happening as of late! The hubster starts school this week, and I have been offered and have accepted a position in a research laboratory at a rather prestigious hospital. 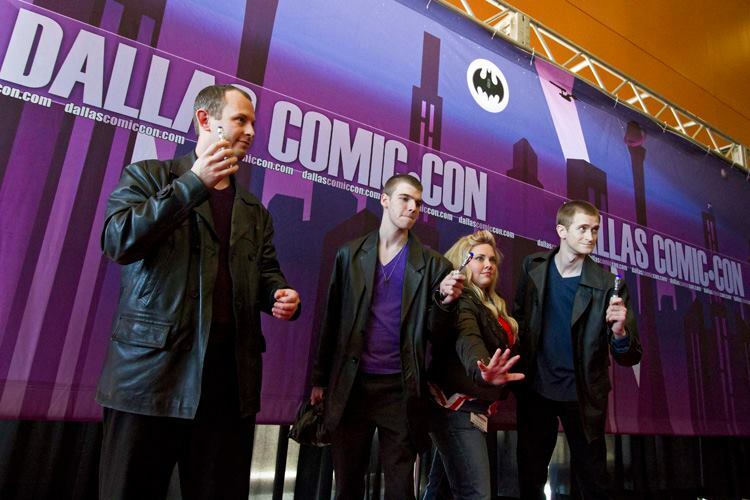 DCC Fan Days – Ninth Doctor(s) and Rose! We’ve gone to a couple of conventions since the big move. We checked out DCC Fan Days in February, and then attended All-Con in March. Fan Days was a lot of fun, and I got to reconnect with the DFW Cosplay Gallifrey folks. It’s been a while (last All-Con) so it was good to get involved again. All-Con has a soft spot in my heart because it’s a fan run convention in a hotel and not a huge expo like so many “cons” are becoming. Plus it’s a way to see our Arkansas friends! 😀 Hopefully next year will be epic since it’s moving to a new venue. Next up I’ll be attending Anime Matsuri and HavenCon in the same weekend (Egads!). Super busy weekend, but what better way to end my unemployment! I officially start work on April 6th, and I cannot tell you how excited I am. As for costumes, I’ve recently completed my Amy Pond kit and had its debut. I’m still sourcing fabrics for Peggy Carter, and I’m going to start on Kaylee’s shindig bodice soon. The rest of my stuff is still in storage (Argh…), thus why it’s super important that we find our own place soon. I miss my outfits! Costuming is going to be pretty slow until I get my things and sewing area set up in the new house. Yep, conventions… I plan on sticking to Texas this year, which means skipping out on DragonCon this year. I was on the fence for a while but it’s just not feasible this year for us. No worries, I’ll be back in 2016. Hopefully the hubster can actually go with me. So that’s pretty much what’s going on at the moment. Kinda slow, but sometimes that’s just how it is. Next Updates and things I’m doing on my summer non-vacation.